Watch and learn everything you want to know about multi-item promotions in the CDB—and more! Combo and Mix and Max promotions, known collectively as multi-item promotions, help convenience retailers make more money—when they are done right. It’s a pricing strategy in which a group discount is offered to customers buying multiple items that relate to each other in a way that makes retail sense (sandwich/chips/drink, for example). Offered for a finite period of time, the promotion is a time-tested tool for generating consumer interest and stimulating item sales. The success of a promotion is far from guaranteed; crafting a discount strategy to boost your bottom line without squeezing it calls for focus, attention to detail, and a referable record of performance. And since our customers require it, SSCS provides technology that enables operators to exert mastery over multi-item promotions with relative ease. 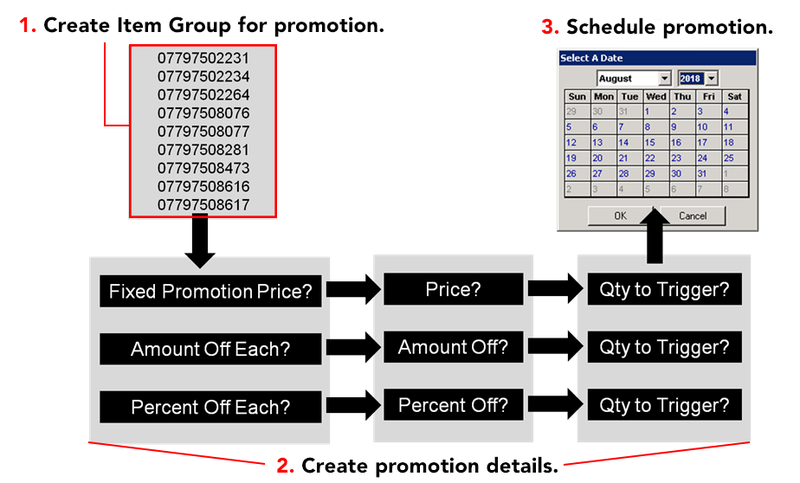 Promotions in the CDB are built with a structural component called the Item Group. Without going into all the details—the video does it much better than this blog ever could—the Item Group is key in getting the CDB to recognize the items you choose to associate as part of a specific promotion and the specific discounts offered on each. Many SSCS customers like to use the Item Adjustment feature of the CDB to create Item Groups. You can think of Item Adjustment as a sort of search engine for your inventory—type a department number, or vendor ID, or UPC code or part of a UPC code, or a description or part of a description, or a tax group ID—and the CDB pulls up all items meeting the criteria. But Item Adjustment isn’t just a search engine—it also lets you modify any items you’ve searched, all at once. After creating an Item Group in Item Adjustment, it’s simple to build a promotion out of it with the appropriate discounts and distribution of those discounts all built in. You’ll find out just how straightforward this process is after watching the video. Promotions aren’t always engineered by store operators themselves. Sometimes an item delivery comes marked by the vendor as part of a promotion—perhaps with even a display stand and recommended time frame. 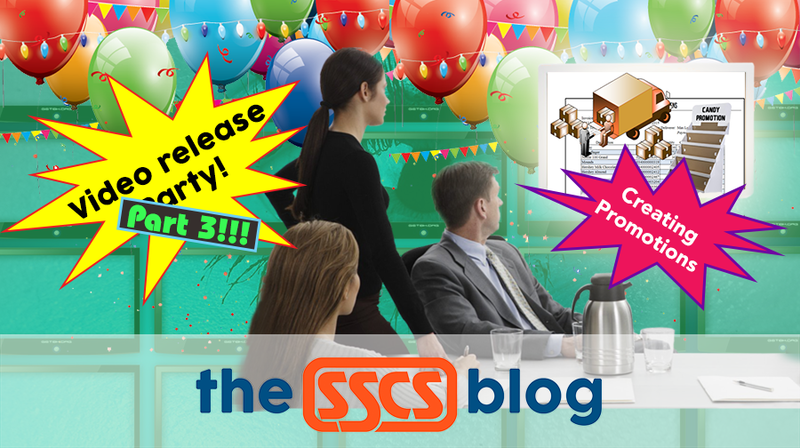 In these cases, it’s also easy for SSCS customers to create promotions. When the items arrive at the site, store staff scans the entire delivery carefully with a hand-held device running SSCS software, recording costs and lists as recommended or required by the supplier. If the items in the delivery transaction make sense to be associated together into a promotion, they can be saved as an Item Group in our intermediary HDP application and scheduled for the appropriate time frame as you will see in our video. A third and final reason that promotions are commonly used is to clear out dead stock or items near their expiration dates. This is a little bit difficult to do while sitting in the back office, so going out and walking aisles, looking for looming expiration dates and older items is a great practical strategy for tidying up inventory. This is more than a matter of simply picking up items and throwing them into a bargain bin; that isn’t a very precise practice and may lead to discrepancies in your inventory cost values and profit margins. 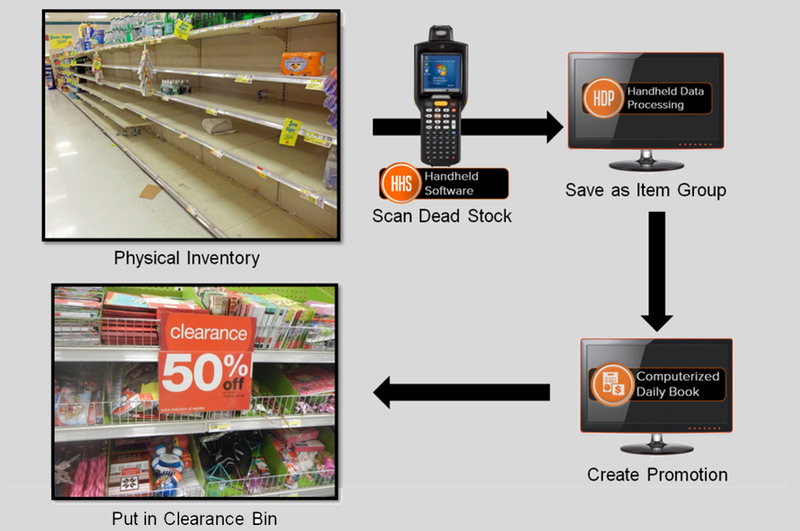 A much better solution is walking the store with a box or basket in hand, scanning every item you put into the basket and saving the items into an Item Group using HDP. Thereafter, you can create your promotion in the CDB (80 percent off should get your customers’ attention! ), get rid of those aging items or dead stock, and make sure all your inventory statistics are flawless. Don’t take our word for it, though: this process is also detailed in our new video. 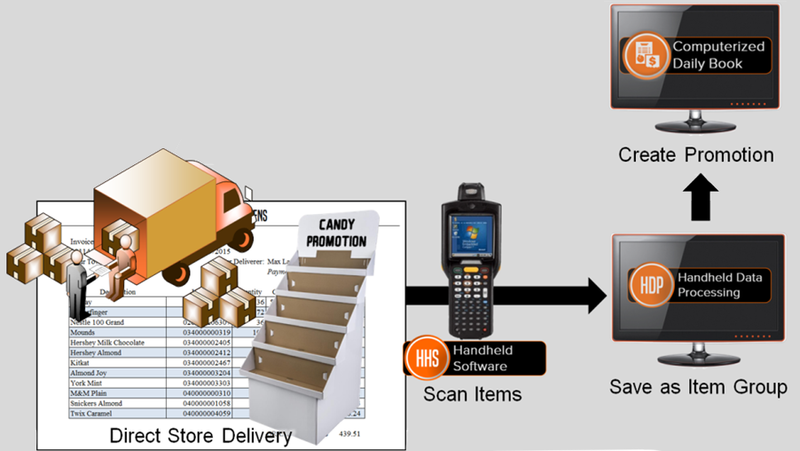 Creating multi-item promotions is central to the weekly operations of a successful convenience store, and we at SSCS have done our absolute best to make a promotion management system that’s both useful on the ground in the store, but also infinitely configurable in the back office. By now you’re probably quite curious to see what we’ve got waiting for you, so be sure to click here to start watching!